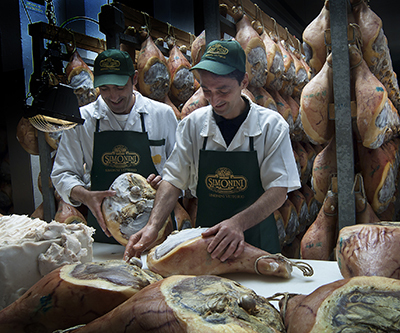 All the people working in our Company play a leading role! 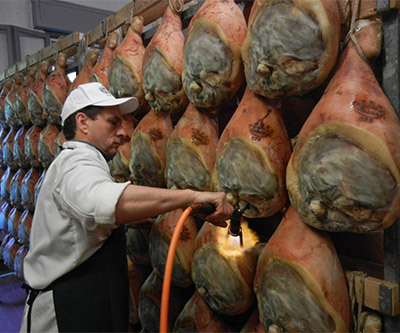 Experience, a professional approach and a peaceful work environment allow us to turn fresh thighs into cured Parma ham, rich in flavour, aroma and taste. 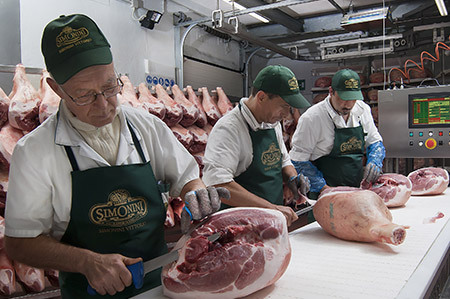 These are the people who generate value in companies, which is why SIMONINI has created a team of extraordinary people who work together, commit themselves every day and share the same objective. 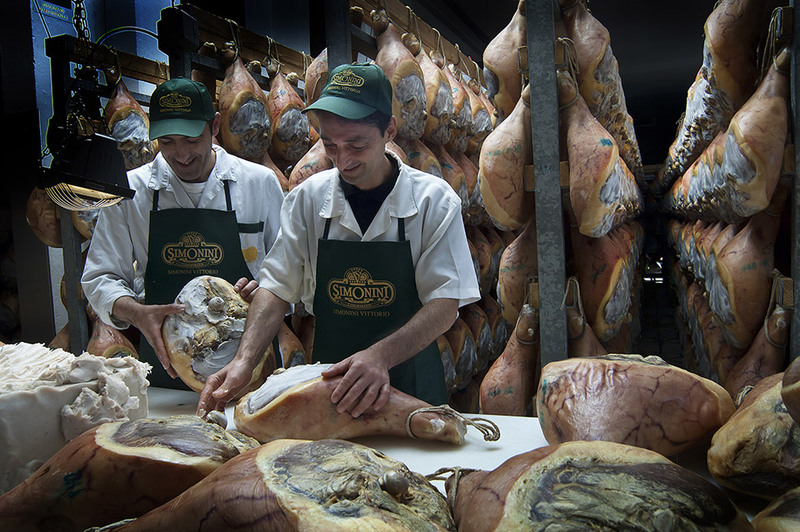 Employees, workers and agents, a unique force in its kind. 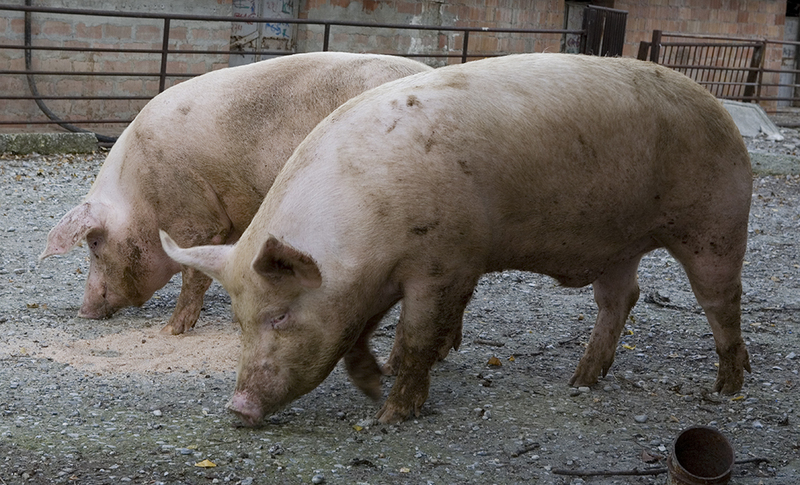 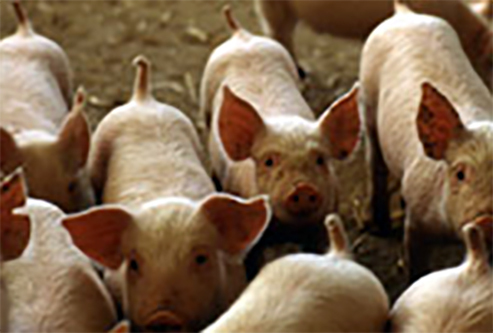 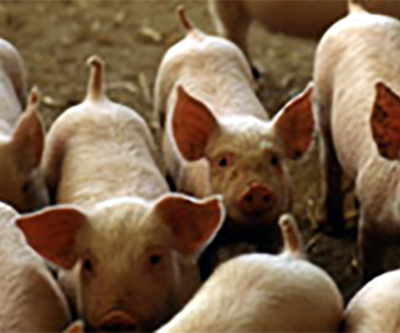 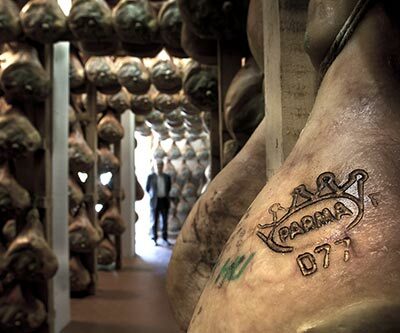 All the pigs were born and bred exclusively in ITALY, fed with GMO-free feed. 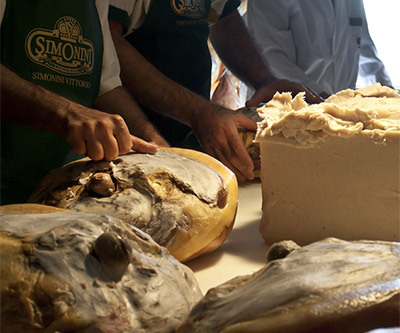 They are still fed with a natural diet, with the whey from the processing of Parmigiano-Reggiano cheese, which favours quality meat, healthy growth and well-being up to at least 180 kg – which is necessary to obtain the right thighs intended for long-term curing. 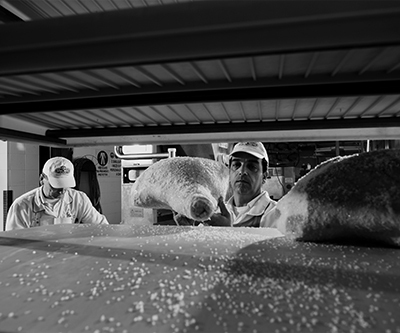 All pigs are bred and slaughtered in Italy, ensuring full traceability and for each individual pig we can easily trace back the story from birth to when they arrive in our plant. 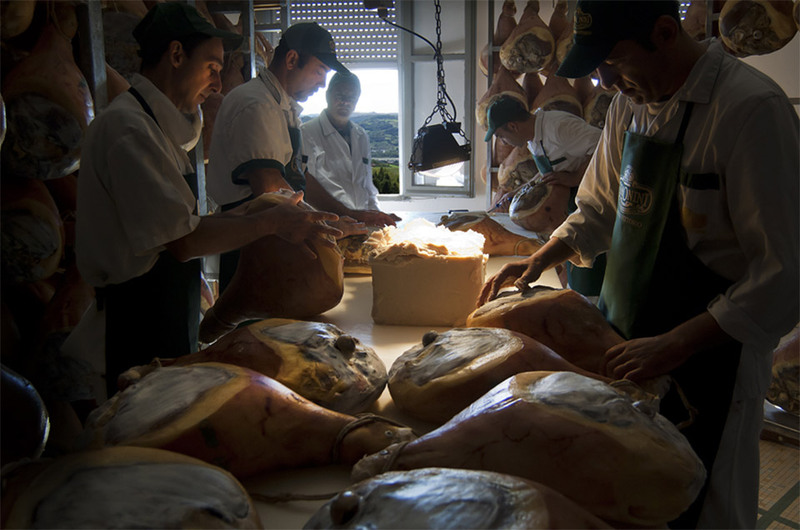 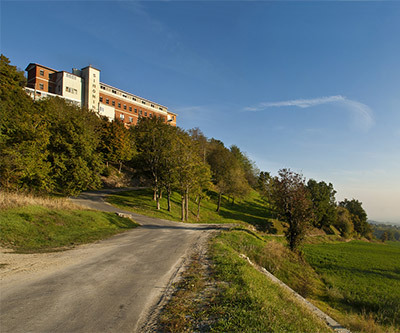 The company is in the renowned, typical area for the production of hams with protected designation of origin (DOP). 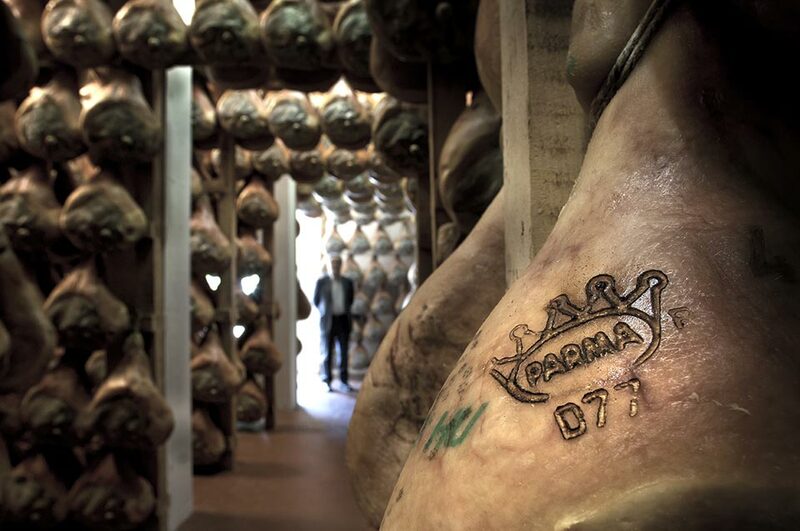 The authenticity of the ham is exclusively guaranteed by the mandatory labels stamped on the product. 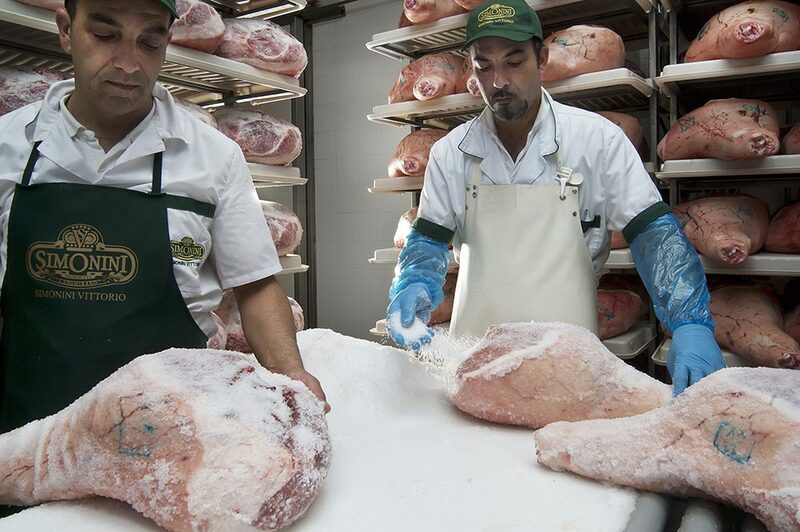 Our Prosciutto is made without preservatives, only using small amounts of sea salt distributed by hand by expert personnel to obtain a really sweet-flavoured Prosciutto. 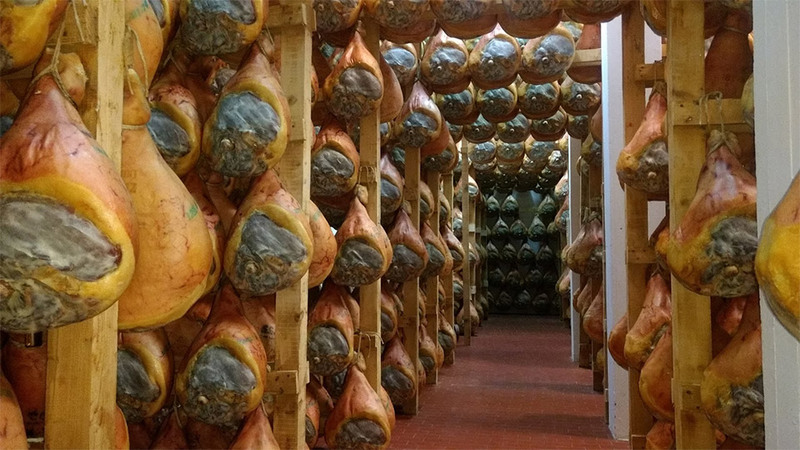 From this meat we obtain exceptional Prosciutto with an intense taste, a balanced flavour and sweetness, perfect consistency and uniform colour. 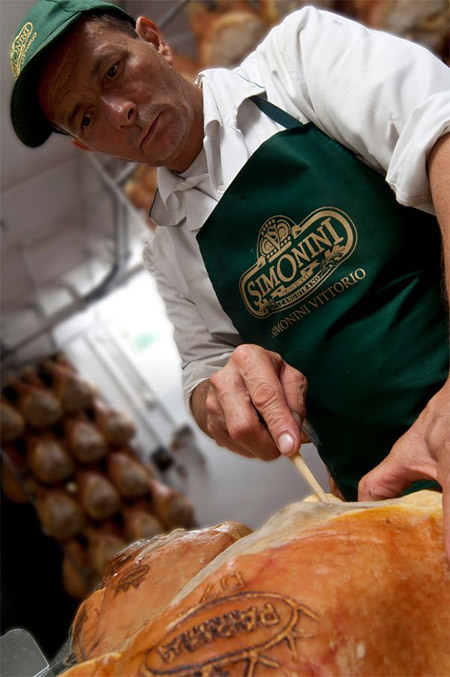 Our Prosciutto is reminiscent of the fragrance of traditional ham. 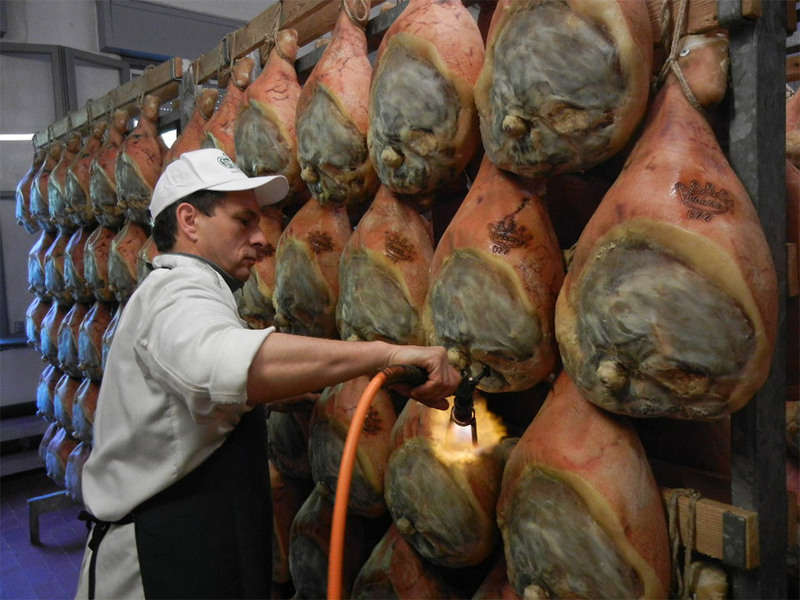 Here are some processing stages of Simonini’s Prosciutto. 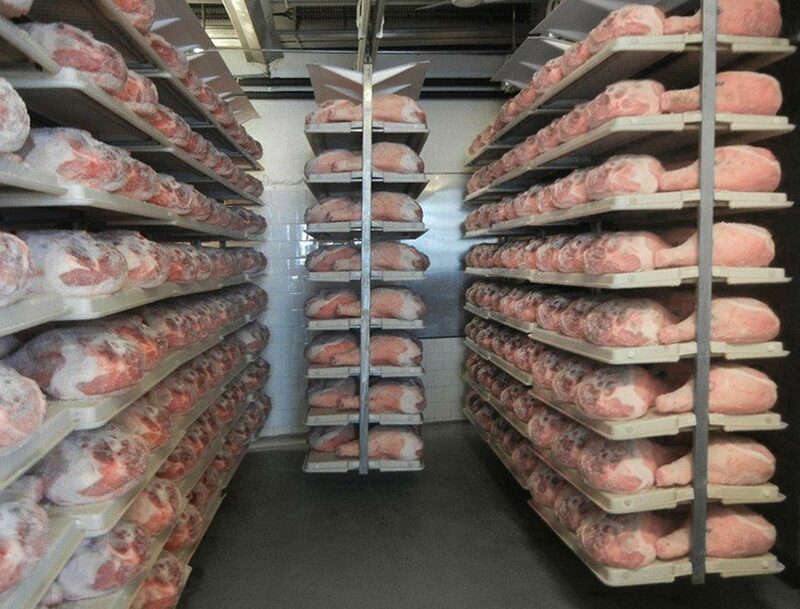 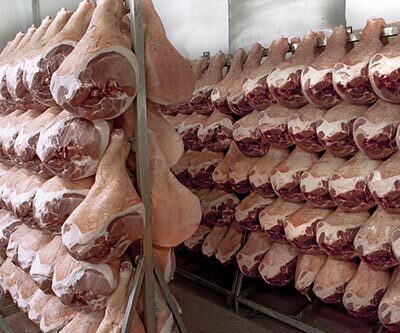 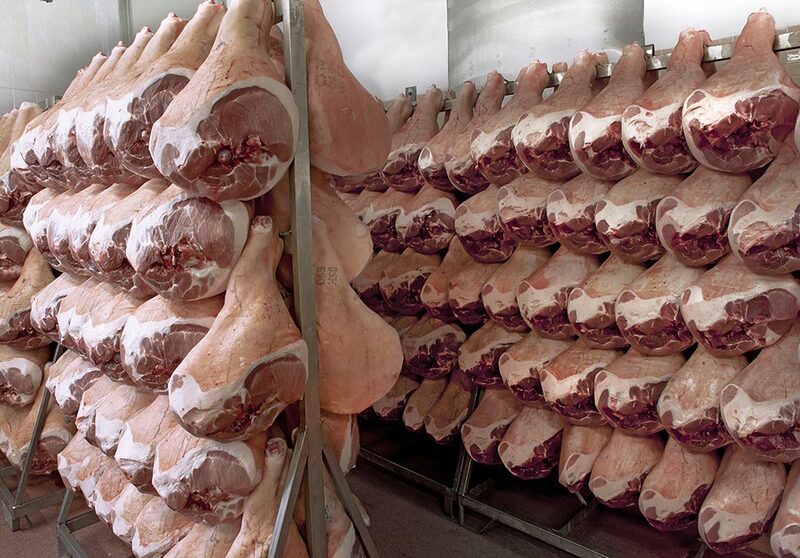 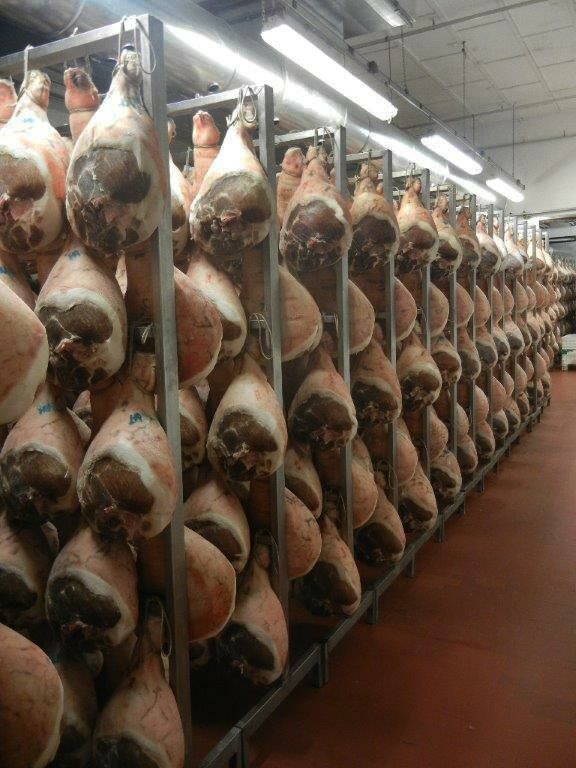 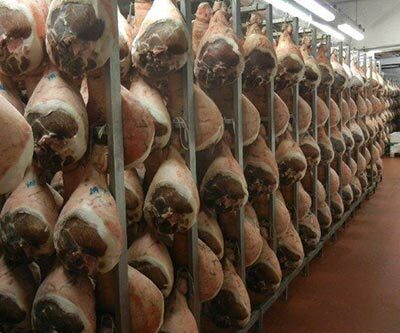 Our hams are cured in rooms specifically designed to achieve perfect air recirculation, where large windows allow air and wind from the sea to come in and generate the renowned and undisputed microclimate. 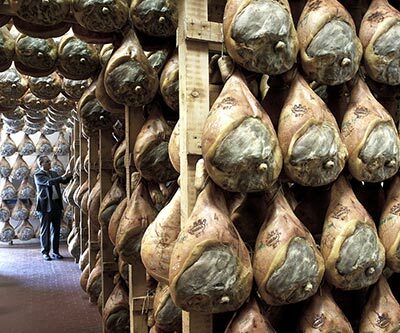 The use of old cellars full of fragrances and flavours and with a large presence of spontaneous microflora completes the aging process, making the flavour and taste of our ham unique. 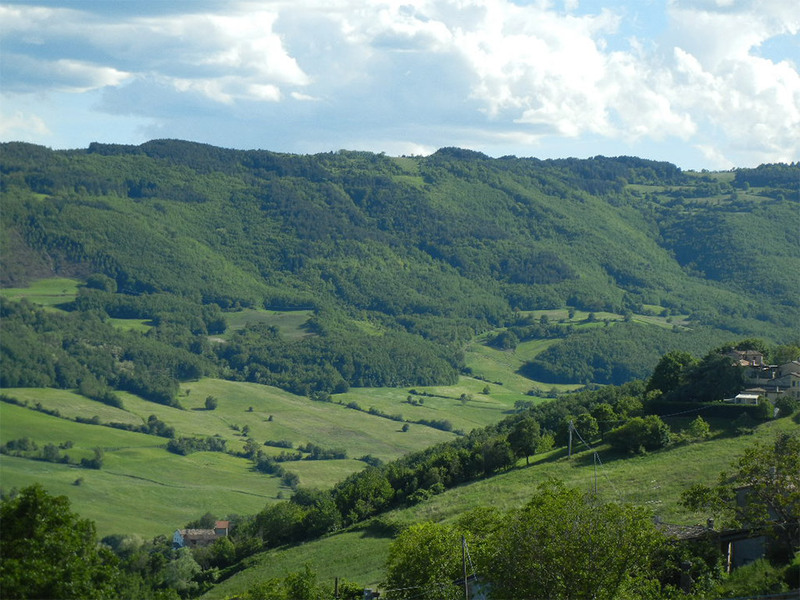 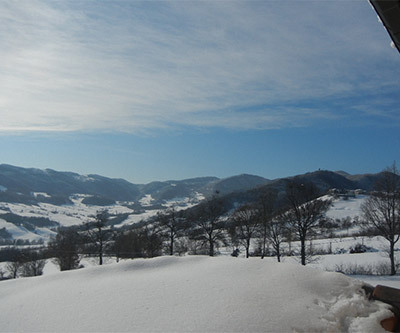 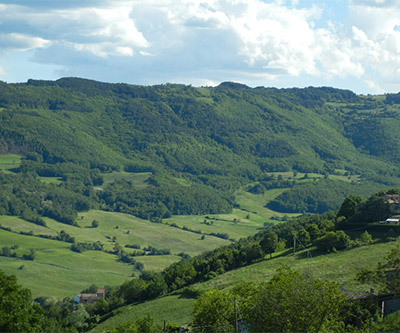 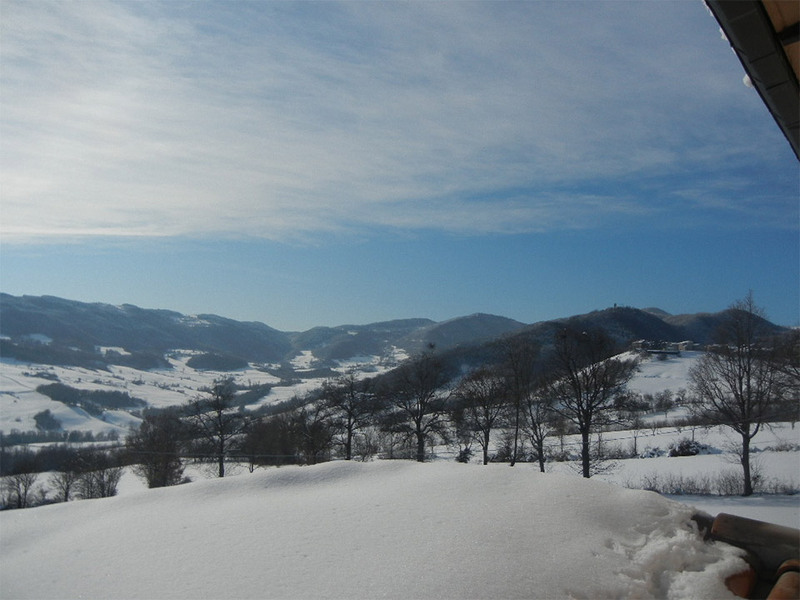 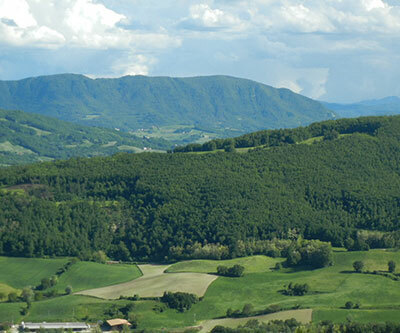 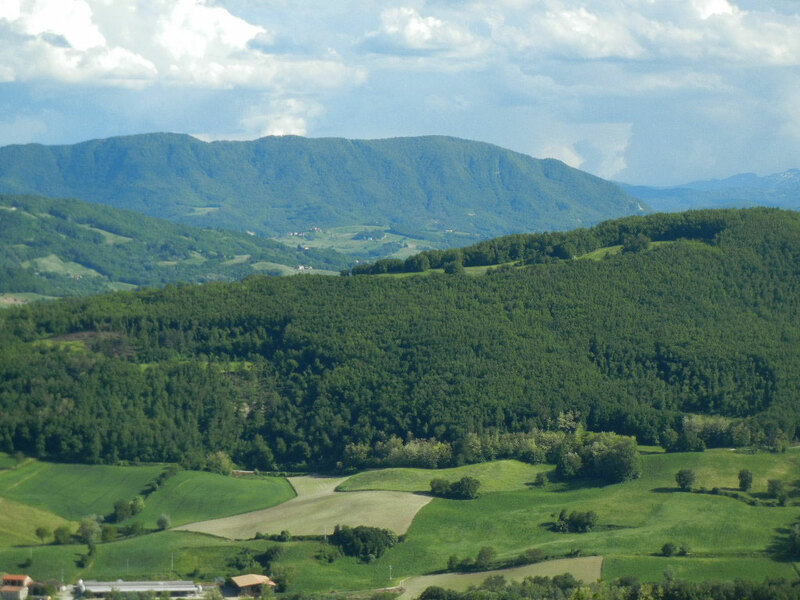 The natural setting around Castrignano. Undoubtedly good producers do not stand out for their knowledge of men, pigs, meat, their theoretical expertise and manual skills, but also for other equally essential requirements, the right places and environments to achieve high-profile results. 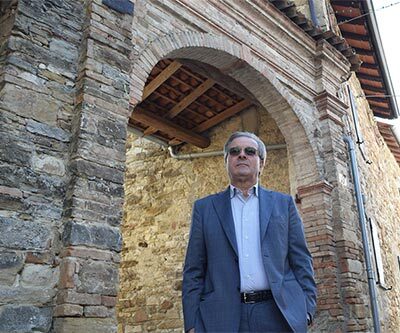 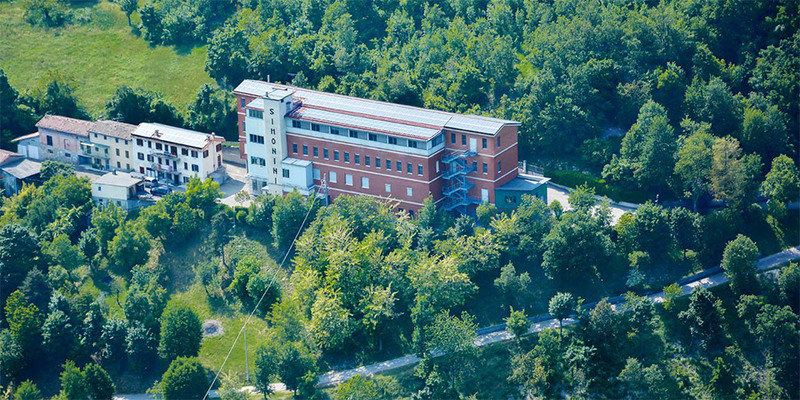 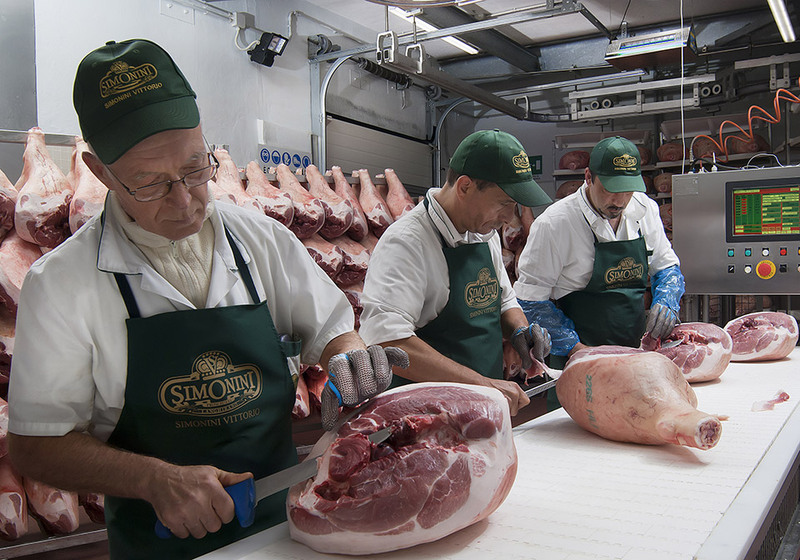 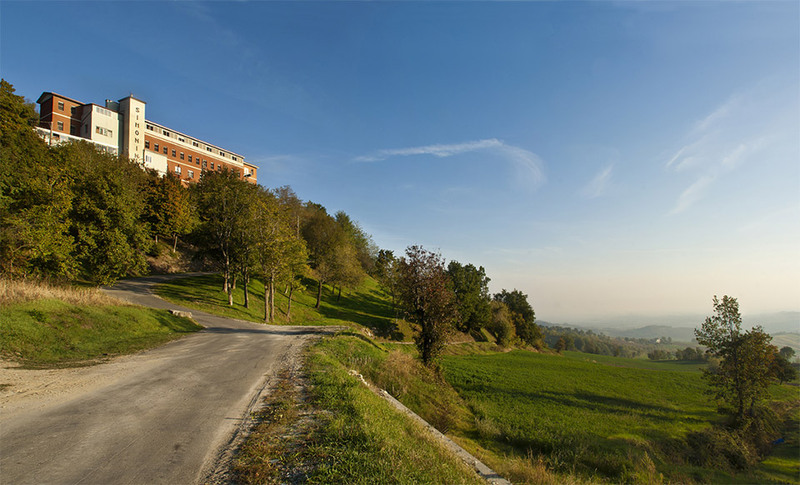 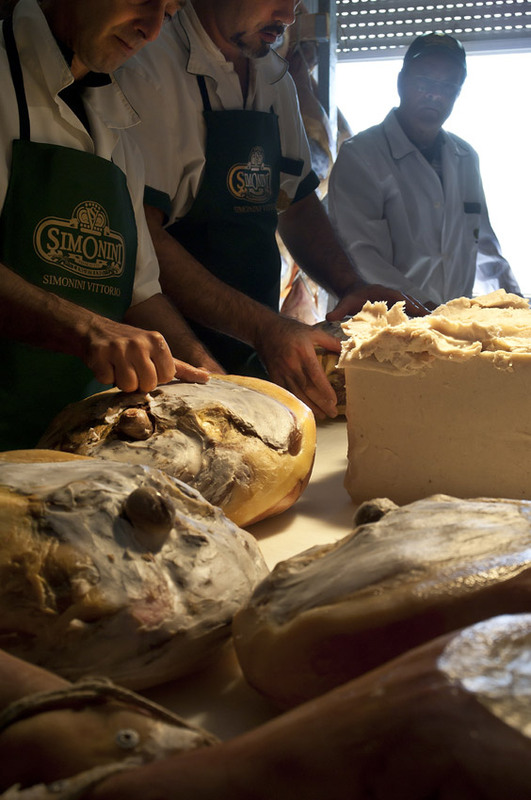 The company’s location and the imprint of the local area are very important to sense the history and features of the ideal environment to guarantee Simonini ham with a strong personality, to speak about and remember. 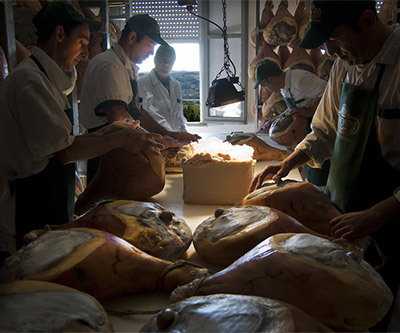 After 12 months of curing, a rigorous selection is carried out and the best pieces regarded as suitable for aging and the final curing are placed on fir ‘scalere’ (ladders) in the renowned cellar, the ‘old cellar’ where the big stone walls breath slowly, allowing ham to undergo a perfect transformation process. 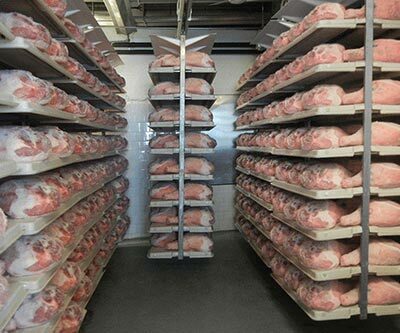 Precisely these cellars, as mentioned, create the environment that favours the unique and enviable microclimate to preserve and cure a unique and constantly amazing product, just like our grandparents used to do. 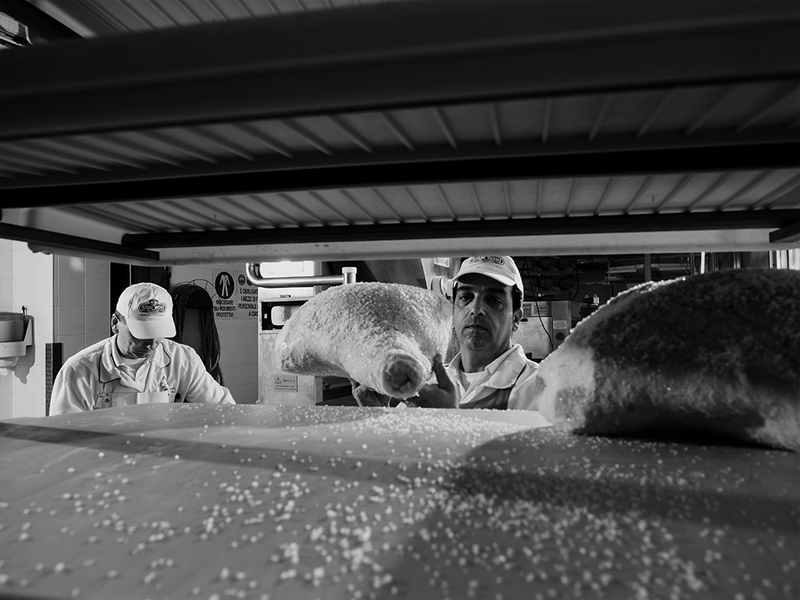 The history of a passion that turned into love, tradition that became experience: these are the cornerstones of our business. 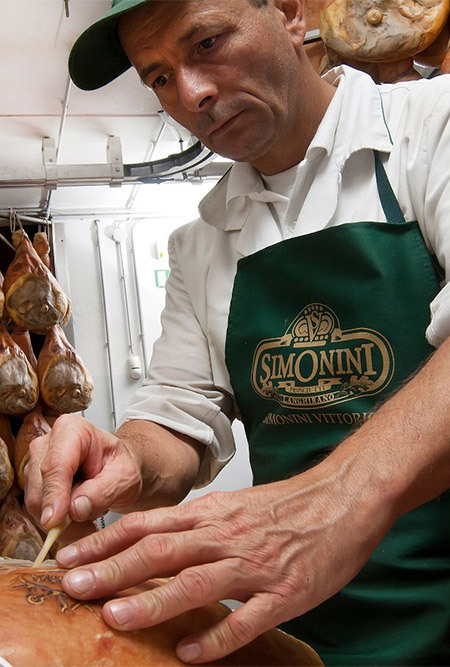 The tradition and experience in terms of processing, the passion and love for the product and local area: these are the distinctive features reflected in SIMONINI’s Prosciutto. 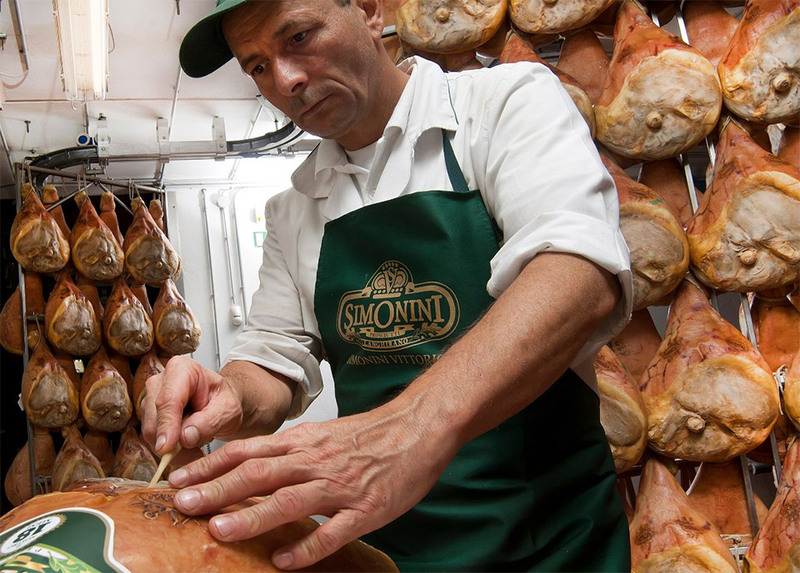 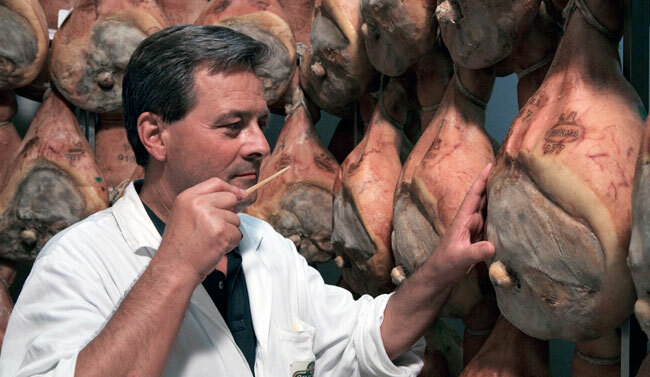 Another true added distinctive value compared to the many hams made at an industrial level is given by the fact that SIMONINI’s Prosciutto is a simple product, the result of the hard work and mastery of people, the true protagonists of its creation. 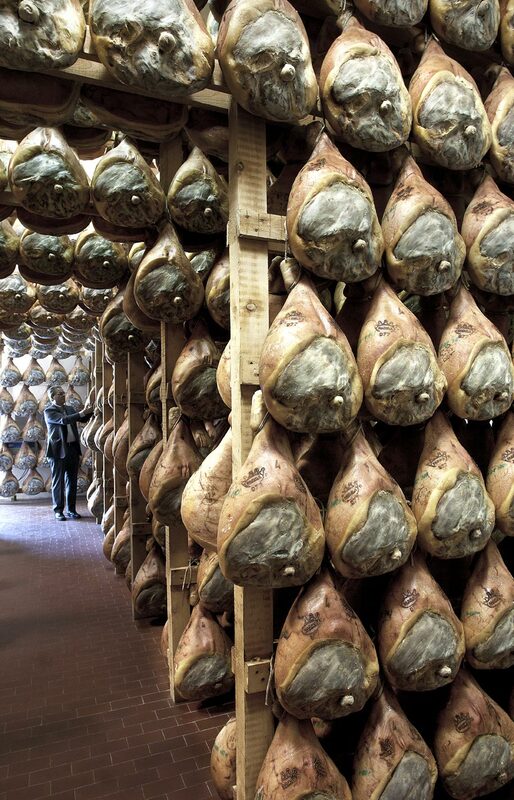 We designed, imagined and loved the cellar even before building it: this is the final place where the product and environment meet and blend, to allow our Prosciutto to achieve excellence. 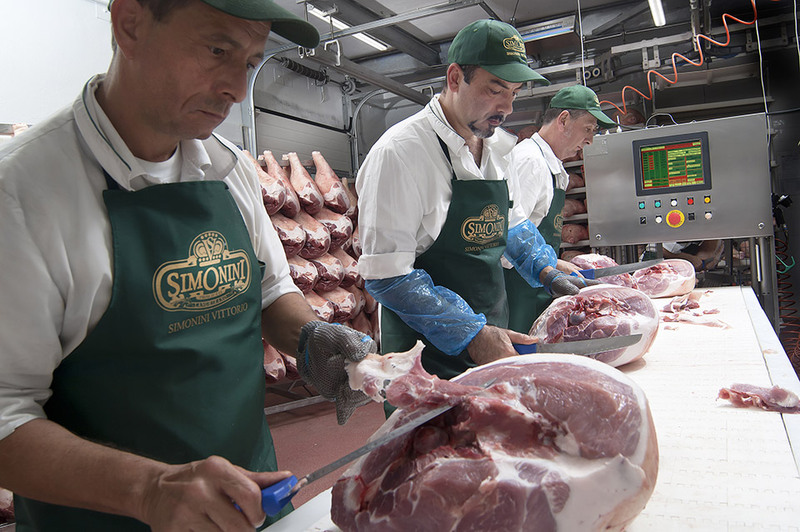 Nothing is accidental here, every action has a deep meaning and the person's experience is fundamental to obtain an excellent final result. 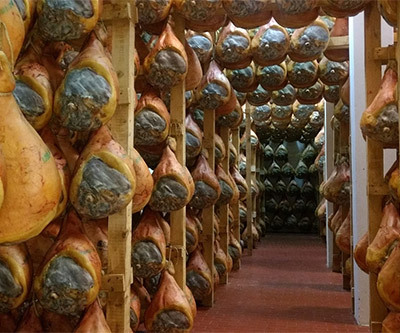 A good cellar does not just mean temperature, humidity possibly controlled by a computer. 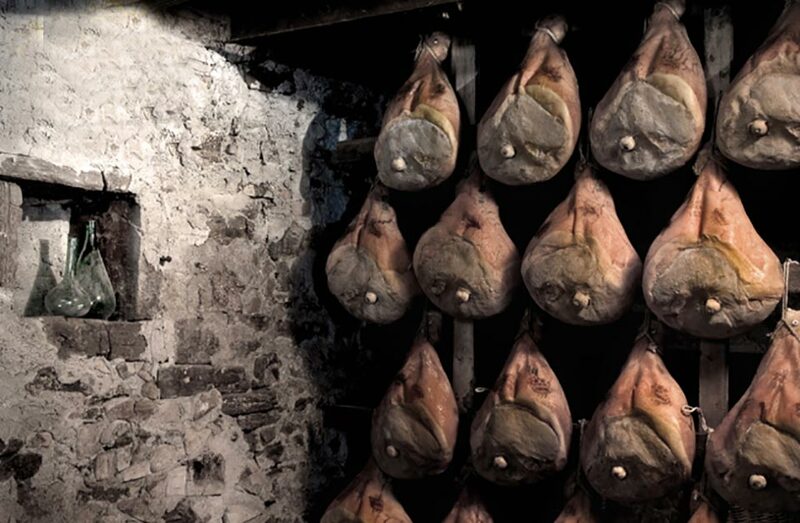 The added value of a room and a curing cellar is given by its history, by the sedimentation of years that creates the parameters of the microclimate deriving from the use of materials that impregnate the environment and create unrepeatable aromas that will enrich our ham. 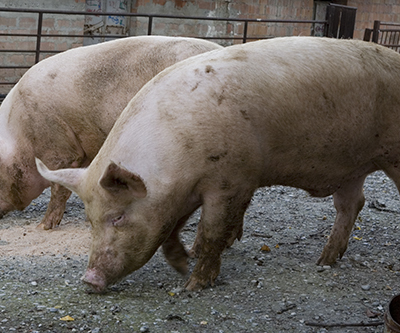 These conditions can be found as a result of loving care and attention.